Time for another before and after Monday! It’s harvest season which means lots of stuff coming in from the garden. It’s one of my favourite things to photograph – I think because it’s food in its rawest form: covered in dirt, with leaves and peels attached – straight from the earth. It’s satisfying. Before we get started I’ll say what I’ve said before. I try to get as much right in the camera as I can. I don’t have much time to sit in front of a screen to post process so usually all I do is a few contrast and clarity tweaks and move on. But, like every photographer, I take some photos that just don’t work the way I wanted. 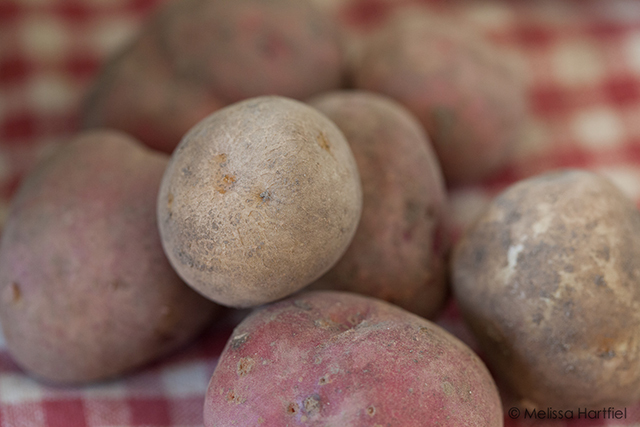 These potatoes are a fine example. When I photographed them, my LCD display on the camera showed me a photo I was quite pleased with. On the computer not so much. The difference isn’t huge but you can see the tones are warmer. What you choose here, (and in any of the steps) is going to be personal preference. The next thing I usually do is alter the tone curve contrast. 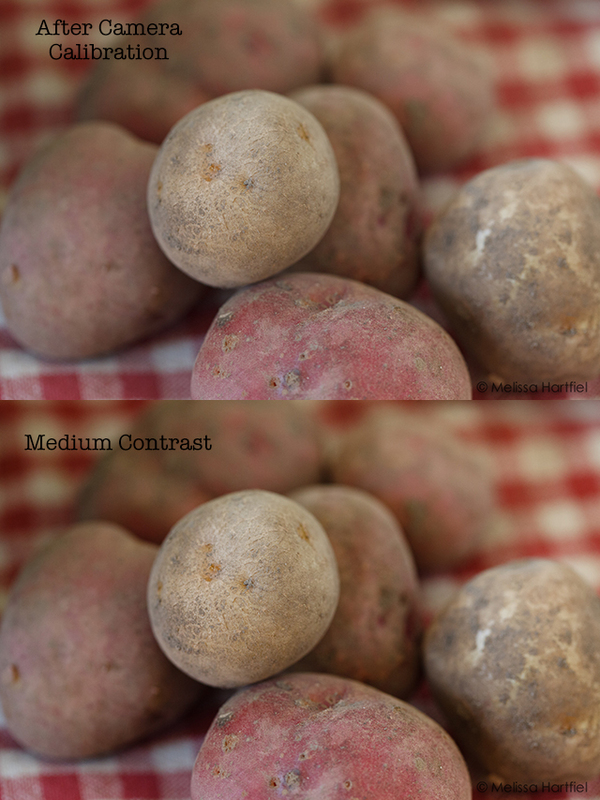 This is often recommended as one of the later steps you should do but because I tend to like high contrast images, I apply it first just to see what it does to the photo before I make any other decisions. 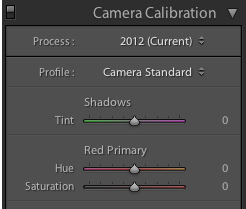 Remember, if you’re post processing a RAW photo, no change you make is permanent. You can undo at any time. The first thing I did with these sliders is adjust the Clarity… dramatically. I almost never go beyond +30 and usually stick in the 10-20 range but for this image, I wanted real punch so I cranked it. (the clarity slider seems to have more strength in LR 4 than it did in LR3). Next, I adjusted the contrast (yes, again… we’re going for gritty and punched up). Often bumping up your contrast darkens the image and you don’t always want to do this so I also adjusted the highlights and whites sliders. In LR 3 the brightness, fill light and recovery light sliders will do much the same thing… just experiment. And last but not least, I pulled the vibrance and saturation sliders up a tiny bit. The next step is to adjust our tone curve again by pulling out some highlight and tweaking our darks and shadows for a little more punch. These act a little bit differently from the hightlight/lights/darks sliders in the first section. Now you can see a pretty dramatic difference but it still looks real. We’re almost done. Next up we’re going to sharpen the image and then adjust the luminance to get rid of some of the background noise from shooting at a higher ISO. 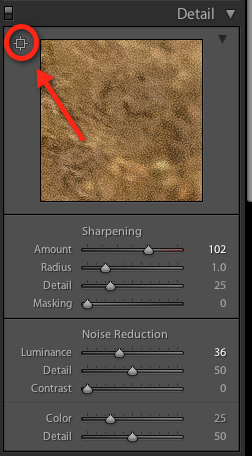 Sharpening is done in the Detail section. Sharpening is hard to see with the naked eye so you can use the magnified Detail thumbnail to help you out. If you click on the small square/crosshatch in the top left corner of the window your mouse will turn to a crosshair and you can select the part of the image you want to look at specifically. 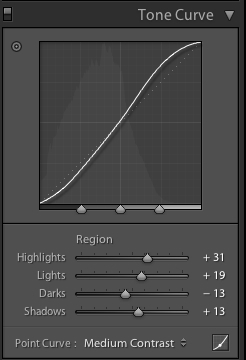 For most images I sharpen between 80 and 100 and I leave the other sliders alone. 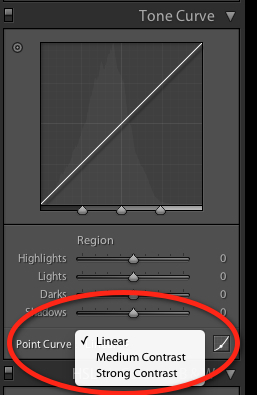 To reduce noise, I use the Luminance slider. 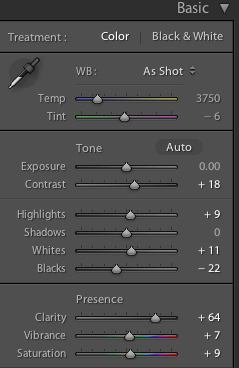 For images under ISO1000 I usually have no need to use this slider. It will soften all areas of your photo so only use it enough to cut down the background digital noise. Just remember, those sliders don’t bite. Play with them and see what happens. The more you play the more you’ll get the hang of what each control slider can offer you and you’ll have a pretty good idea as soon as you import a photo of what you’ll need to do! And if you’ve shot in RAW, you won’t be harming your original file (and you’ll never lose your original file). If you are using JPG files each action you do will actually degrade the quality of the file. So RAW is better! Thanks for this! Just got lightroom last month and although I’ve played around a little this gives me a better idea of things that I could be doing. it’s probably the most intuitive post processing software I’ve ever used. it is so much easier than using photoshop was! Just don’t be afraid to experiment. Who knew potatoes could look so good ? 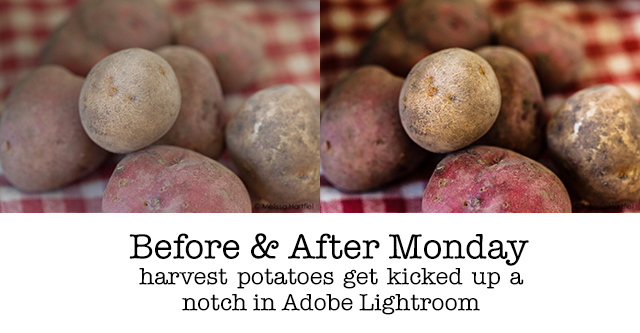 Great tips here, Melissa, making LIghtroom that little bit less scary! No need for it to be scary. Just remember, if you’re shooting in RAW you will always have your original image to go back to as well as the history of all the steps you’ve taken. You really can’t hurt anything. I wish I had a Canon 5DMKII and all your photography knowledge stuffed in the back of my brain. Having total recall on it all would be great too. Thank you soooo much for this!! It’s one thing to have the expensive photoshop, but it’s another thing to know how to use it. 🙂 I am clueless. 🙂 I feel like I need a 10-year course just to get up to speed. This is really helpful. I’m constantly fooled by my LCD screen – I will be so happy with things until I upload them. I appreciate the help. I just stumbled across your website while reading a post from David Lebovitz. I’m so happy I did. I’m getting back into picture taking that does not involve a point and shoot. I love this post and look forward to reading more.